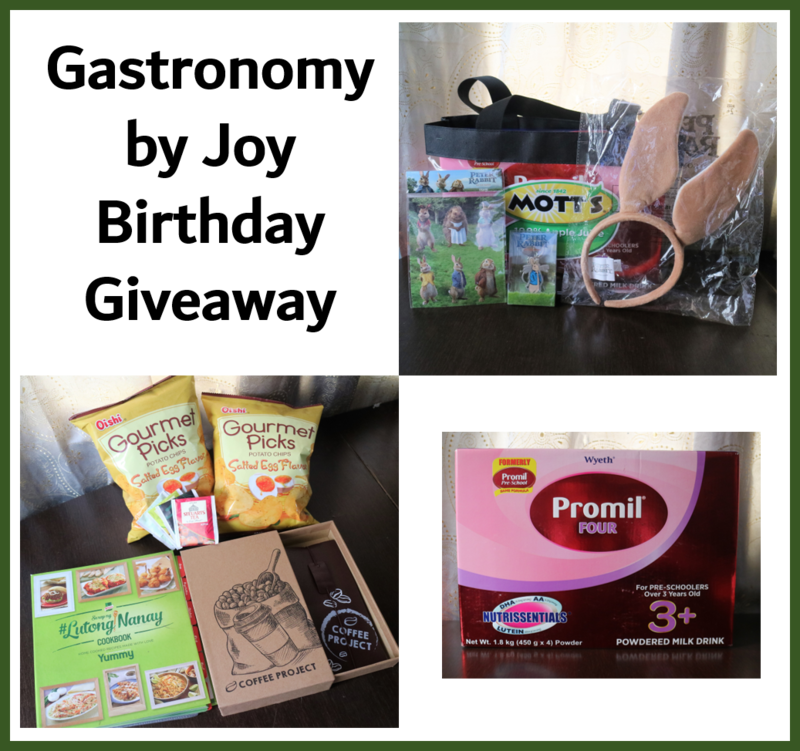 GASTRONOMY by Joy: Birthday Month GIVEAWAY! Have you ever heard of the phrase "mad as a March hare?" Well, that's literally how I would sum up this month! Try as I must, I don't want to put myself in the same idiom sense. I still managed to be collected and not too frantic about my calendar being full and wonky, but there would be times, that I would be likened to Mad Hatter but definitely not the March Hare. If you like or have read Lewis Caroll's Alice in Wonderland, you definitely know what I'm trying to say. Well, my March is as mad as a March hare! Sounds crazy perhaps, but it's what it is! To begin with it's my birthday month, and this giveaway should have been posted since the beginning of March, but alas! It had gotten crazy already. Then, it's also my daughter's birthday month, mine is on the 20th and hers on the 24th. Loads of write ups, blogs, emails to finish. AirBNB guests to meet and take care off. Still haven't finished writing about our Taipei, Taiwan 2-day exploit. Food and product reviews, social media management, etc, etc! It doesn't stop there, allow me also to share this event with you. I'm organizing this event with a friend and investment guru, Ro Suarez. And everyone is welcome to come, just register here. We will talk about surviving from failures, moving on but winning in life! A littler take-away on the said event, "Success is often achieved by those who don't know that failure is inevitable." - Coco Chanel. Coco Channel won't be there but you will definitely get loads of inspirations from influencial and passion-driven women. Get to mingle with other women and get support in your careers, business or just ordinary life, to build it into an extra-ordinary one. Yes! It ispossible! Read how a fellow blogger gained something from our first event at the link below. As I've said I'm running a giveaway! I'll be choosing TWO winners or this giveaway. But like many other giveways, you're supposed to help me spread the news about my advocacy with Ro of Just Ask Ro. This goody bag from Motts has 1.8 KG Promil Four milk, Peter Rabit Movie prenuim products (headband, key chain and stickers). This goody bag has a big limited edition Lutong Nanay cook book, a leather-covered planner from Coffee Project, tea samples and 2 Oishi gourmet Pick in Salted Egg Flavor. 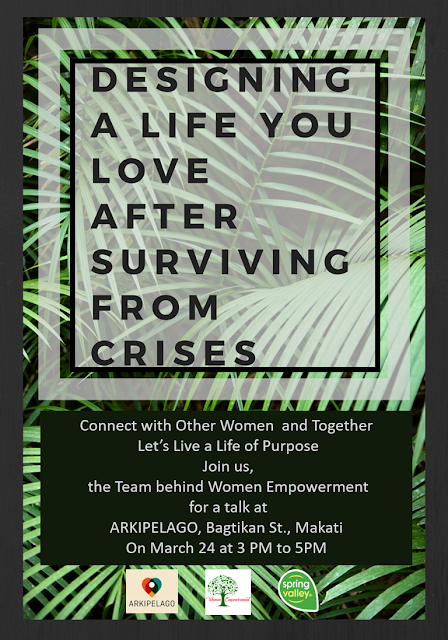 For those joining, winners can only claim their prizes on Saturday at Arkipelago, Bagtikan St., Makati, during our Women Empowerment talk from 2 to 5 PM. This won't be delivered!!! Must be willing to attend our FREE talk with snacks from Arkipelago. To join, kindly finish the following steps required. STEP 1: Follow Women Empowerment in Facebook. STEP 3. Tag 5 of your friends (make sure your FB account is in Public so it's easy for us to check.) and tag also my Facebook Page, Gastronomy-all about food. STEP 4. Like my Facebook page - Gastronomy-all about food. Once you have finished doing all these, kindly comment below, with your name and cellphone number. Winners will be announced on March 23, 2018, Friday at 6 PM on my FB page Gastronomy-all about food and will be contacted to confirm attendance to the event and pick up of prize. This month is just so empowering, not really minding about my birthday but how I can share the blessings I've been continously getting! Yay! Happy birthday momshie also to ir daughter :) God bless!